Pop-Up Book for children featuring the work of Judy Millar. Published by Te Uru Contemporary Gallery Waitakere (formerly Lopdell House), Titirangi, Auckland, New Zealand. Swell is an artwork for children that is a pop-up art book. An enchanting pop-up book full of Judy’s painted twists, twirls, swells and swirls. Possibly the first artwork /art-book in many children’s lives. 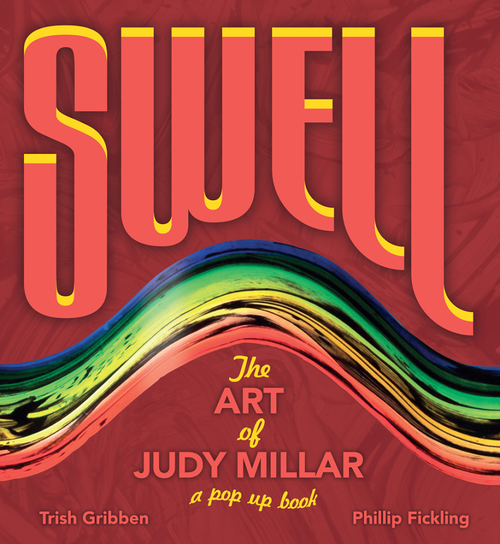 A paper engineering masterpiece, Swell is a collaboration between writer Trish Gribben, paper engineer Phillip Fickling, and painter Judy Millar. Gribben and Millar presented the book at the Auckland Writers Festival on May 17, 2015. The book was officially launched on the 5th December 2014.